We proudly carry Gaia’s World® herbs and products, clean, natural and pure. Our products are offered for those desiring change and seeking a sense of connection with Source energy. Our focus is on shifting energy through ceremony and vibration. We carry items for personal use, Native American, Wiccan, Druidic, Pagan, Magikal, and other cultural and religious rituals. 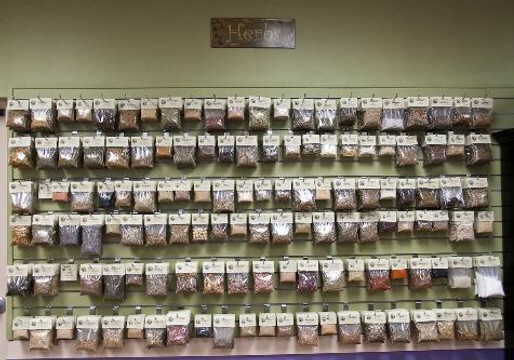 Our herbs are packaged in ½ or 1 oz packages in re-sealing packages. Many are available in more than one size, all reasonably priced. We have informative labels; our packages are labeled with ceremonial purpose, ways the products are commonly used, and other information about their ceremonial properties. (HC01410) Black Cohosh c/s 1 oz. (HC02310) Cedar Leaf, Red, cut and sifted, 1.0 oz.